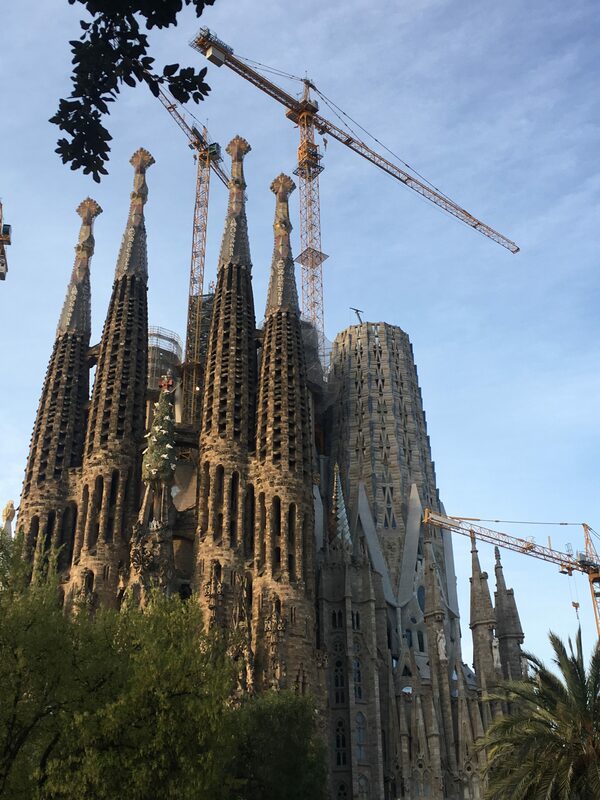 Sagrada Familia is an alive monument, and Certified Tour Guides, who work there regularly, need constantly training. Every year we have a meeting with Jaume Serrallonga, one member of the 21 architect team building of the famous temple. This year’s meeting was especially interesting, it was about the construction of the highest towers. The use of new techniques adapted to the altitude and the atmospheric conditions. 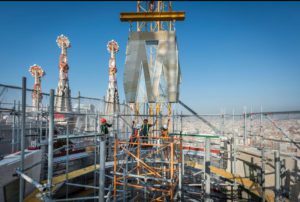 Currently they are working hard in the construction of Virgin Mary tower. It’s just on the top of the apse. They use tighten stone up technology. 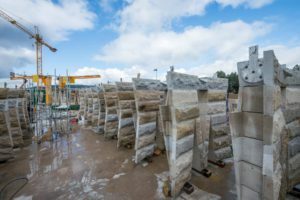 They manufacture the modules with stone and connect the stone with steel cable. This is the only building all over the world using this technique in such an important altitude. 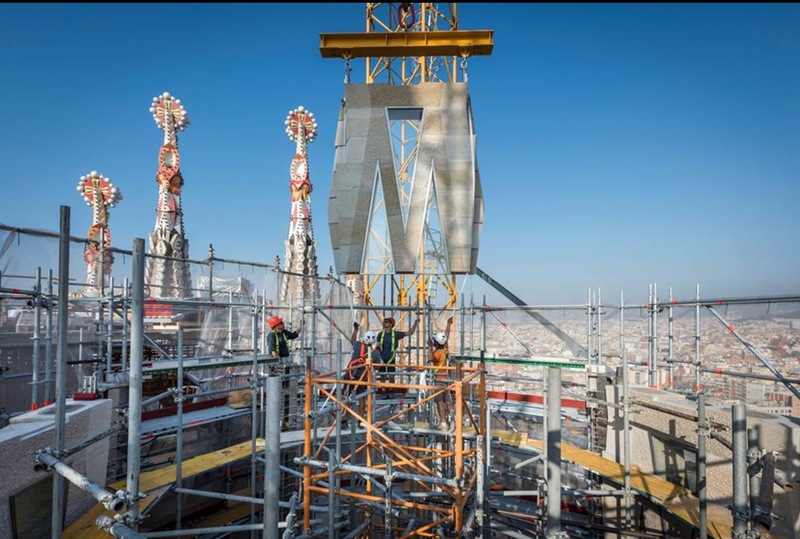 They prefabricate the modules in a workshop outside Barcelona, and once the pieces are done they bring them and put them on the scaffolding already built on Virgin Mary Tower, it’s like extremly big “lego” construction. Gaudi’s project includes three monumental facades and eighteen towers, for the moment they have built two complete monumental facades and eight towers.They are working hard in order to accomplish the construction of the highest towers before 2026. 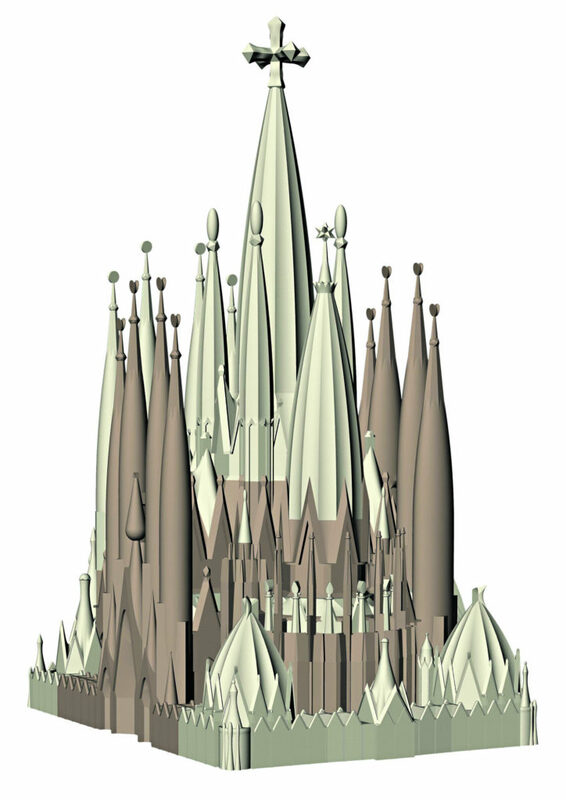 They want to finish the building in 2026, in order to commemorate the 100 years of the death of Antoni Gaudí. I recommend you my tour about Antoni Gaudi in order you can discover all secrets of Sagrada Familia.